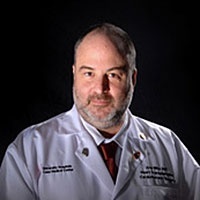 Arie Blitz MD is the Director of Mechanical Circulatory Support and Advanced Heart Failure Surgery at the McAllen Heart Hospital. He attended the Albert Einstein College of Medicine in New York, and completed his general surgery and cardiac surgery training at Montefiore Medical Center and UCLA, respectively. He implanted the first Jarvik Heart Pump in Cleveland and has numerous publications in the area of advanced heart failure treatments.